The above is not an entirely new or strange error; Windows was unable to complete the format can occur at any given time on any computer. It comes up when users try to format their USB, SSD, Micro SD drives, etc. 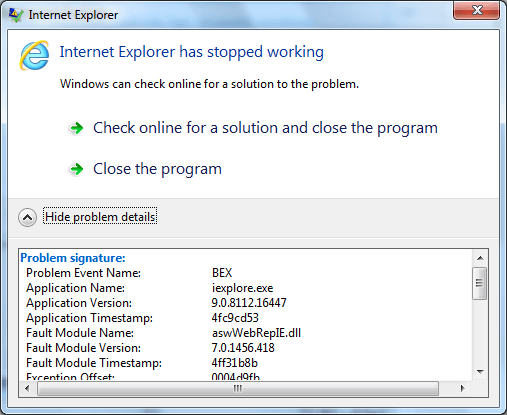 The causes of the error range from malware, to bad disk sectors, and even write protection on the said drives. There are three major ways to deal with the error. Right click on “My Computer” (or as per your computer’s icon in later Windows versions). On the appearing context menu, click on “manage”. After that, select Disk Management. All the drives on your computer will be now displayed together with their details such as their capacity, names, etc. 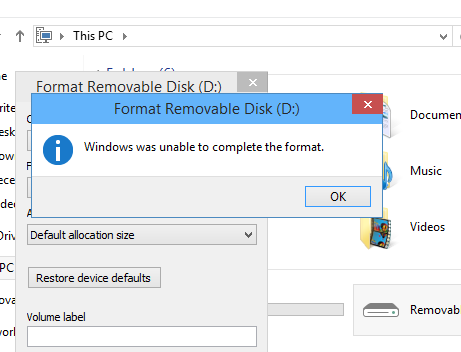 Right click on the problematic drive and choose “Format”. File system format is recommended to do the quick format. If this step is not successful, try the next step. Right click on the drive in question and choose “New Simple Volume”. A wizard then appears and guides you through the remaining process of partitioning/formatting your flash drive. Now the system recognizes your USB drive. If this method wont work then please follow below method number 2 to fix your format issues. The command prompt is another alternative. Novice users do not prefer this method but still it is quite simple. On your keyboard, press Win + R.
Type “cmd” and press enter (For Windows 8 or higher, you may need to run this program as administrator). When the prompt window appears, type in the command diskpart. All disks and partitions on your PC will be shown. Take not of the USB drive that needs formatting. Type the word disk followed by the number identified under diskpart. Press Enter. A scan is done on the drive and the file structure rectified. You now need to create a new partition. Key in create primary partition and press Enter. Then type format/FS:FAT32(drive-letter). The drive letter immediately follows FAT32, and you have to discard the brackets. Format is complete. If you still getting format error then maybe your USB, SSD, Micro SD drives defective and broken. In such case you have to contact your device company for warranty.